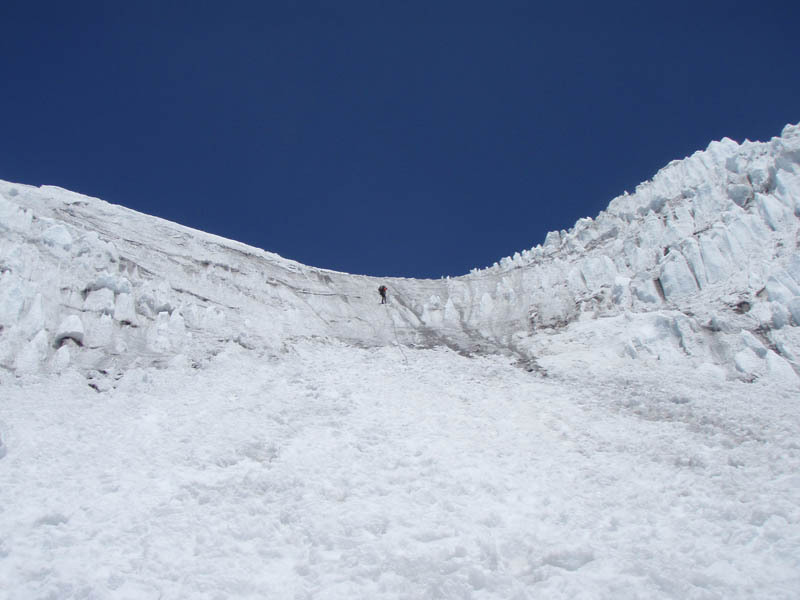 Jess Matthews checked in this morning on the Coleman-Deming route to report that the team turned around at 8,500’ due to an newly opened and impassable crevasse. They made their descent safely back to camp and back to the parking lot where they will head into town for fresh food and hot showers. Today was another beautiful day on the lower slopes of Mt. Baker. We started with a leisurely breakfast and then packed our gear for a short walk above camp to reach the snow and our training site. After a good day of training, we’re relaxing in our tents before dinner and then off to bed before we gear up again early in the morning for the real thing. The team is looking forward to heading uphill to put our new skills to use with the summit in our sights! RMI Guides Jess Matthews, Jessie Poquerusse, Dustin Wittmier and Team. We had a beautiful walk into camp today. Temps were cool, the bugs left us alone, and we made smooth work with heavy packs. We were greeted by a blanket of wildflowers and the sound of waterfalls as we made our way above the tree line into camp at the edge of the Coleman Glacier. Everyone is feeling good and settling in to camp life here at 5,900’. We’ll take advantage of a full night of sleep before beginning our training tomorrow on the slopes around camp in preparation for our summit climb. 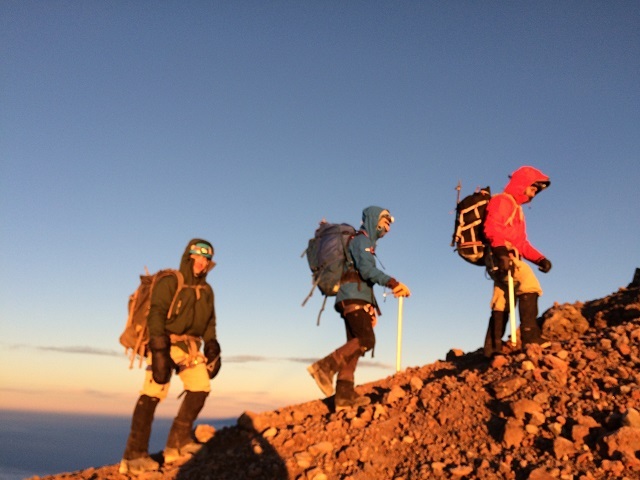 RMI Guide Casey Grom and the Four Day Summit Climb July 6 - 9 made it to the summit of Mt. Rainier today. 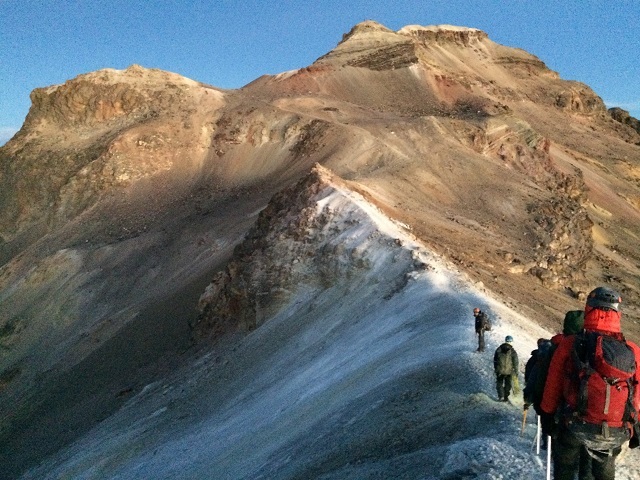 Casey reported windy conditions as they began their descent from the crater rim at 7:30 AM PT. 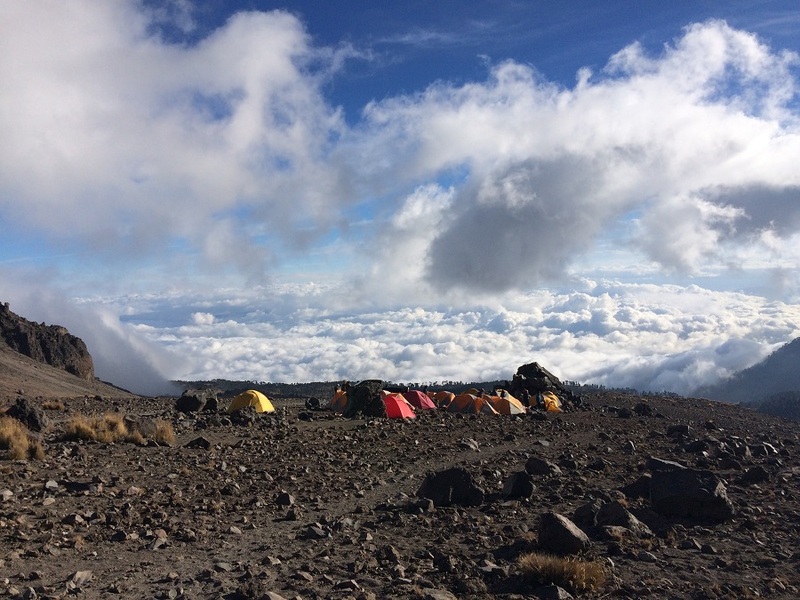 The team will descend to Camp Muir and then continue down to Paradise this afternoon. 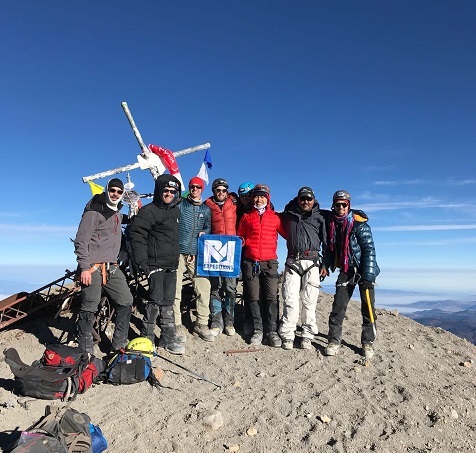 Congratulations to today’s Summit Climb team! Congrats to the entire team! Casey, Jessie and Taylor we thank you! 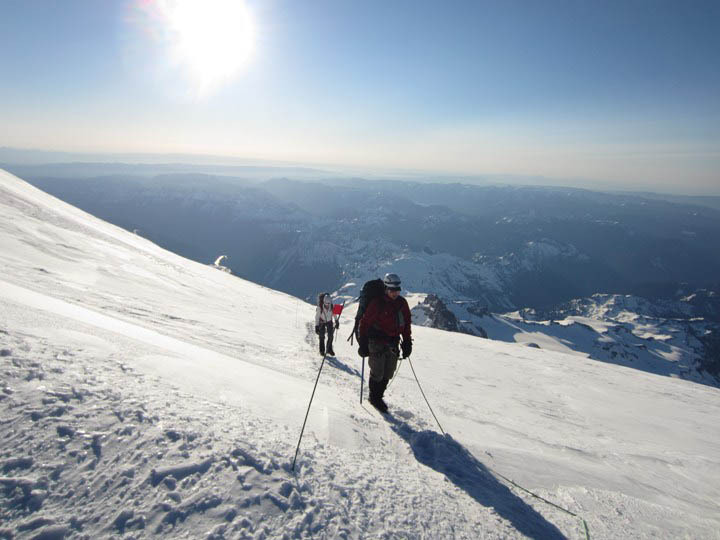 Congrats on your Rainier Summit, that is amazing. I am planning to go there Tuesday night and for early Wednesday for the Summit through DC route, would like to know how the route is after camp muir. Do we need to know anything about the route and any safety precautions while on the route. Was there a ladder in the route? Your response is much appreciated. After a 1 am sharp departure, climbers topped out on the Roof of Mexico just after 8:30am, the ascent lit by alpenglow and spiced up by loose rock near the summit. After half an hour admiring the steep summit crater and a quick descent in deep sandy “polvo” (dust/dirt), we all reunited at camp for our long descent back down and reflections over dinner at Dr.Reyes’ in Tlachichuca. What a circuitously adventurous week, and what a phenomenally engaged team of climbers. Hi friends and family this is Walter Hailes from the summit of Orizaba. We had a really, really tough time this morning, but we have beautiful weather. We’re standing on top, enjoying the sunshine, getting pictures, having a great day. We will call or send you an email as soon as you get back down to camp. We will talk to you soon and see everyone we love very soon. From the summit of Orizaba - will talk to you later. Bye. Please install Adobe Flash to listen to this content. 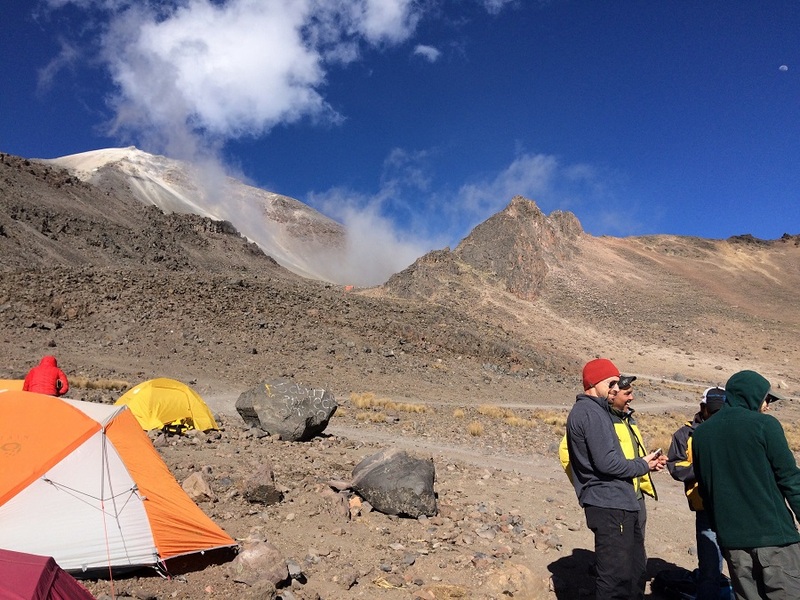 RMI Guide Walter Hailes calls from the summit of Pico de Orizaba. Today we departed from the warm showers and soft beds of our Puebla hotel to rough it one last night up high. After a luxurious breakfast at our host Dr. Reyes’ re-purposed home (from an ancient soap factory) followed by a three-hour stomach-churning ride through local farms and a long windy road up to Pico de Orizaba National Park, we settled straight into our camp site for the night, sitting well above the clouds at 14,900ft. Everybody has been working well, setting up camp and prepping meals, but we’re also very grateful for the efforts and support of our local porters and guide, who have been fantastic resources and friends. 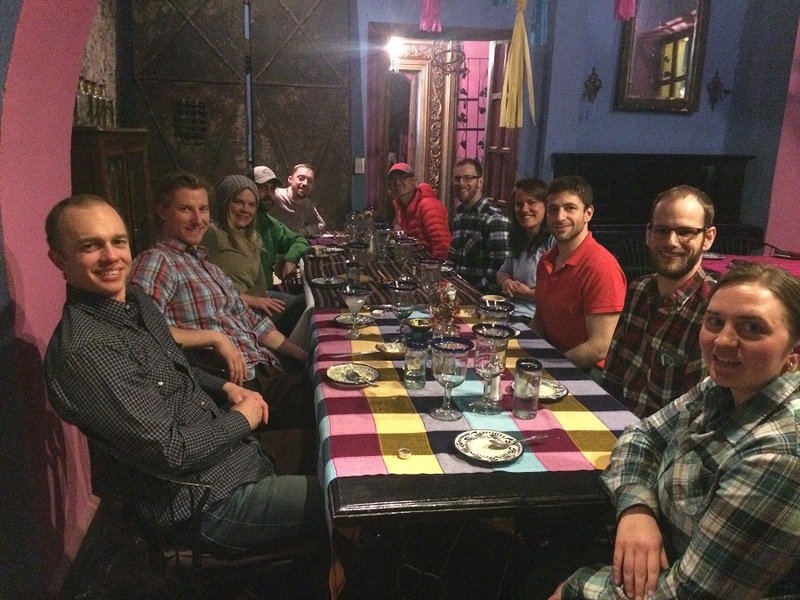 Burritos and more laughter on the dinner menu, then an early bedtime for us in order to be fully charged to tackle our final objective tomorrow, the roof of Mexico, the Pico de Orizaba. Hola from our well deserved rest day in the historic city, and UNESCO world heritage site, of Puebla. 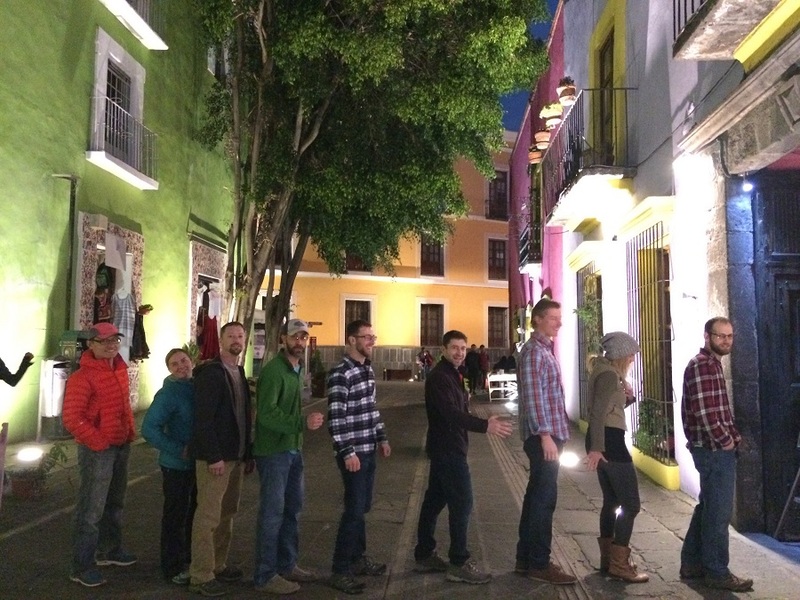 While most folks would spend the day meandering the streets and enjoying the local pleasures, this diligent group was practicing their mountain efficiency skills until the very last minute… effectively pressure breathing and rest stepping their way, single file, the way into our local evening dinner venue (photo attached). What a team. Todos han cumbreado (everybody summited)! 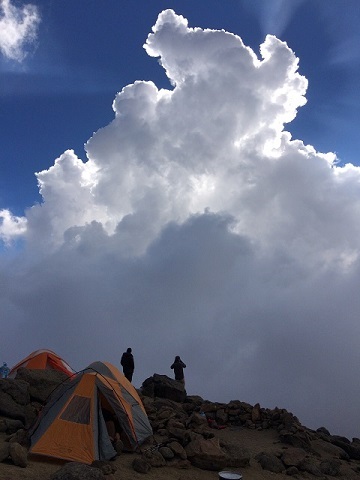 The group was a bit apprehensive last night as the clouds were dancing in and around camp, but we woke up at 1am to mostly clear skies and made our bid for the top of Ixtaccihuatl in 6mph, -4C weather - doesn’t get much better than that. The sun rose right as we began our final ascent stretch, shedding dramatic light on the Martian like landscape with Popocateptl puffing volcanic smoke in the background. We all celebrated on top under the sun and above a thick undercast. Upon return to high camp we swiftly packed up and made our way back down in a graupel storm before reaching our van, celebrating (again) over beers and sandwiches, and making the drive to our hot showers and warm food in Puebla.